With trading caps threatening to limit activity in dark trading venues from 2017, Joe McGrath asks what are the implications for market participants? The clock is ticking. Under the Markets In Financial Instruments Directive II (MIFID II), trading caps will take effect in 18 months’ time, limiting trading in dark pools. The process of data collection to monitor the activity will commence at the start of 2016. At the time of writing, the rules stated that there will be a limit of 4% in the trading of any individual stock in any single pool and a limit of 8% in any stock across all dark pools, although these caps will not apply to large-in-scale trades. 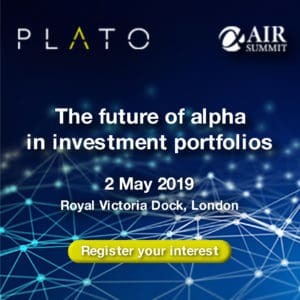 Industry experts are predicting this could have a significant impact on the liquidity of certain stocks as the limits are reached in individual or multiple venues. For the buy-side, this may end up influencing the timing of portfolio adjustments or even stock selection. Technology will also have to adapt. Smart Order Routers will no longer be able to rely on historical data as they once did and the patterns of venue use will undoubtedly change. With this mind, some have raised concerns that we may yet see fragmentation increase still further as more initiatives divide trades even further. So how significant are the new block trading solutions, which have so far been put forward to market and should buy-siders be using them? Adam Toms, chief executive officer of Instinet Europe, is among those key industry figures who are warning traders to make better use of the tools already at their disposal before embracing other new market entrants. Toms suggests that, to break the cycle of fragmentation, that market participants should spend more time looking at the behavioural aspects of traders. Instinet is planning to share these findings with the market in the coming weeks and its clients have already benefitted from seeing the findings in a pre-released report. Toms says: “One of the most basic things it demonstrated was that if people want to trade in larger blocks – there is a simple solution for that – minimum order sizes. How many clients use min order sizes? Well, it was quite small. Toms admits that he cannot change behaviour alone. He is hopeful that new initiatives such as the Plato initiative will build on Instinet’s work in this area with its promised academic research activity. Many delegates at the recent TradeTech Conference in Paris were keen to back Turquoise Block Discovery, but the newly emerging market solutions also have their champions. Then there are the enhanced services from traditional players like Societe Generale and Bank of America Merrill Lynch show how the new battleground for block trades is taking shape. Ian Martin of Societe Generale Prime Services’ Electronic Sales Trading team, says SocGen has prepared for the anticipated increase in activity in this marketplace ahead of the MIFID II deadline. He said: “A recent entry and one which appears to have gained a good degree of traction from a buy-side perspective is from Turquoise, in the form of their Block Discovery Service (BDS). But for all of the enhancements being made to venues as a result of the regulatory changes and the new initiatives coming onto the market, concerns around fragmentation persist. Michael Richter, director of transaction cost analysis at Markit, says the latest block trading “solutions” which have been put to the market are ‘not hugely significant’ and he is waiting to see evidence of something new. He explains: “Buy-side crossing networks have been tried a number of times over the past 15 years since markets started fragmenting. “The point about the equity markets is that they include many different investors with different time horizons and investment goals, who disagree on the valuation of the asset (demand and supply). 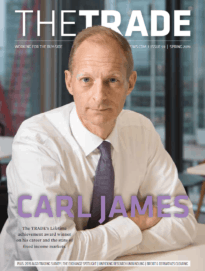 This year’s TradeTech conference also provided the industry with an opportunity to reflect on how the market perception of high frequency traders has shifted, a year after the furore from Michael Lewis’s Flash Boys. In the aftermath of the publication, numerous buy-siders were quoted in the national media as having ‘concerns’ about the effect HFT could be having on their clients. However, since then the mood has calmed, with industry figureheads becoming increasingly vocal about the role high frequency trading plays in providing liquidity to market. Markit’s Richter, says those portfolio managers who were quoted saying they can no longer trade large blocks on exchanges without getting ‘picked off’ by high frequency trading firms are “focusing on the trees and not the forests”. He explains: “It may be true, but portfolio managers would be better served focusing on the 80% of their costs that result from investment timing rather than getting apoplectic over one or two bps. SocGen’s Martin acknowledges that there has been a shift in behaviour, but he says that the search for the ideal venue is still very much on. He says: “There is no question, traders have had to change their approach, in order to adapt to certain types of HFT participants. This has led to liquidity moving away from lit exchanges, with the intention of finding dark, or block liquidity on alternative venues.